Borne of the concept car of the same name, Renault Captur stands for an innovative way of thinking about cars. Renault Captur will encourage new adventures and new discoveries leaving behind the urban jungle in the order to experience love, family, sport and passion. Its design expresses itself through smooth, fluid and balanced lines, it is beautifully useful, practical, smart and clever. Renault Captur plays on its originality with its two tone colour scheme and extensive personalisation options, allowing everyone to make it their own. 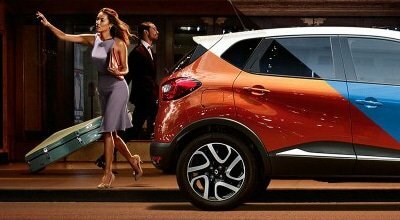 Renault Captur, a new crossover from Renault, for every life you lead.